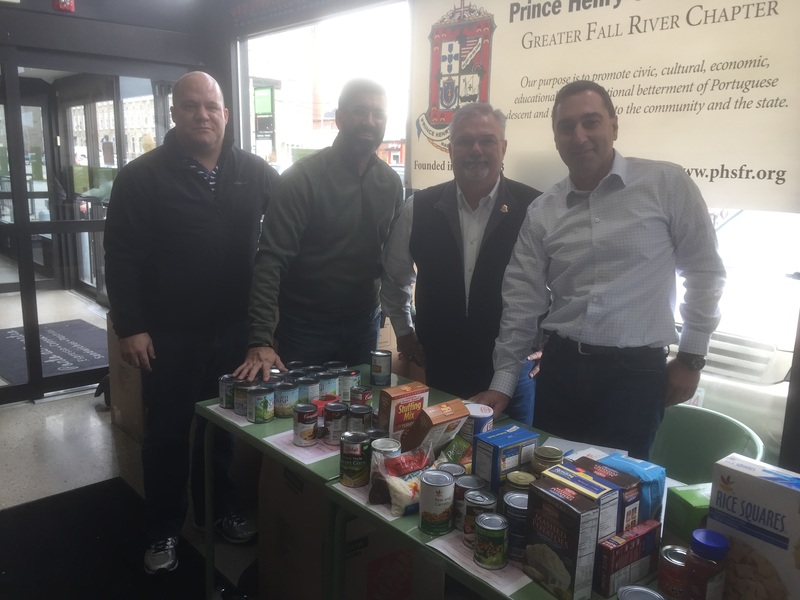 While many were busy getting ready for Thanksgiving, members of the Prince Henry Society of Fall River were collecting food and donations to help make the holidays a little happier for the needy of the area. 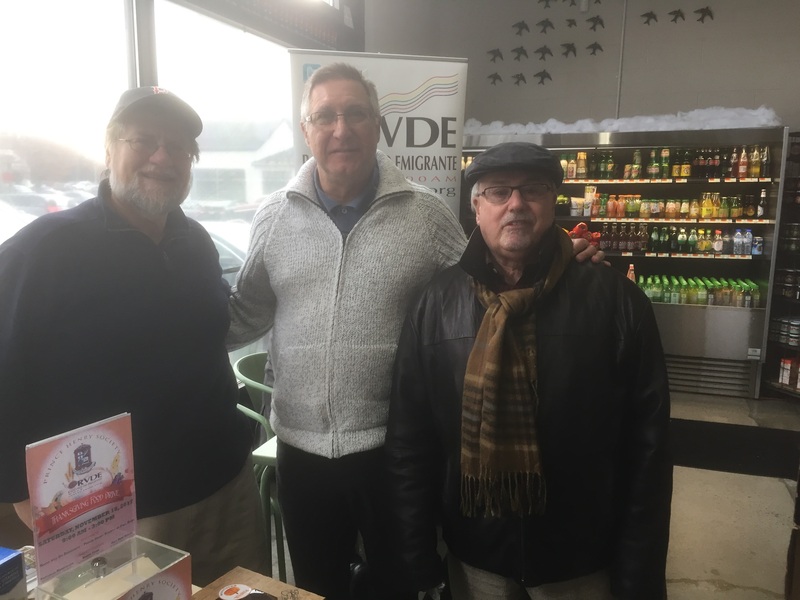 The food drive was held at Portugalia Imports, Seabra Market and Holy Name School. 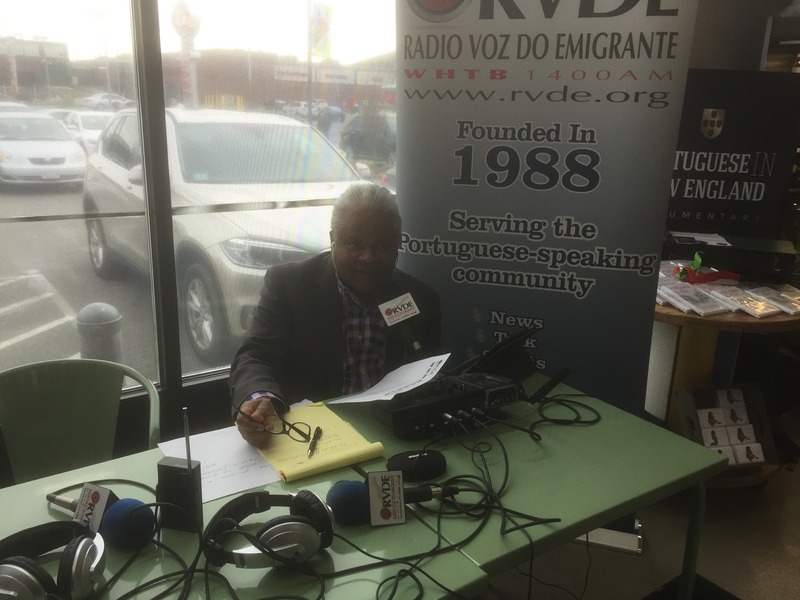 Antonio L. Oliveira chaired the event which was co-sponsored by Frank Baptista and Radio Voz Do Emigrante. 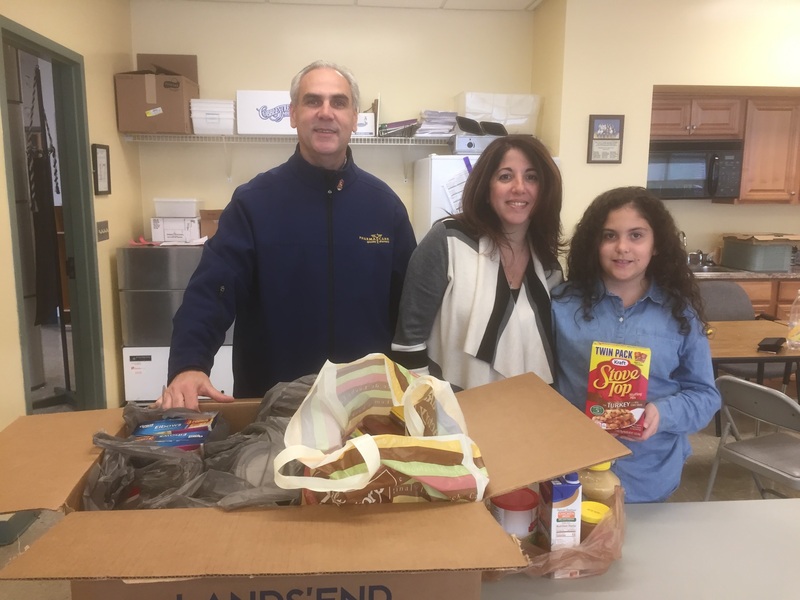 Nearly 1000 pounds of food and almost $2,000 in cash and checks were collected to benefit soup kitchens at St. Michael’s, St. Bernadette’s, Holy Trinity, and St. Anne’s churches. In addition, the Veteran’s Association and Herald News Holiday Fund will also receive donations. 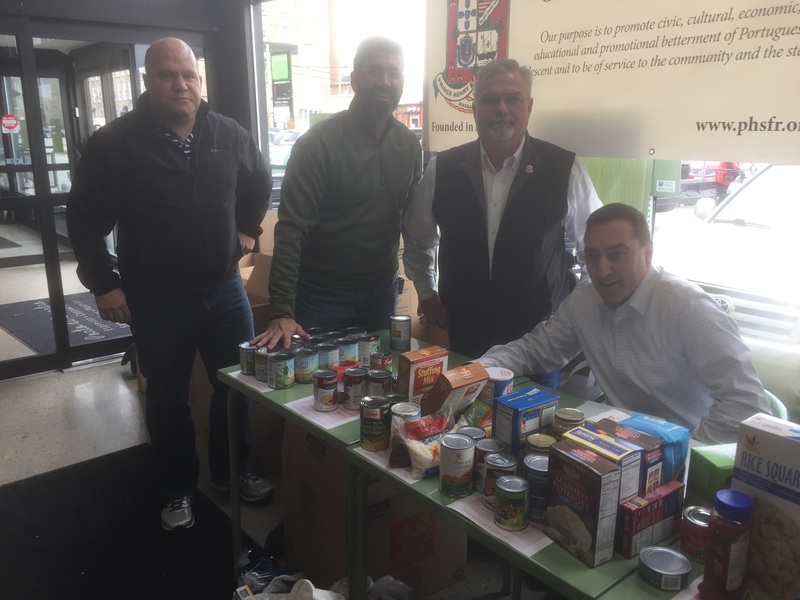 “I am proud to announce that amount of food and financial donations represent a 60% increase from our last food drive at Easter 2017,” Oliveira said. He thanks Frank Baptista and Radio Voz Do Emigrante for co-hosting the event and expressed appreciation to the members of the Society and specifically the Humanitarian and Relief Committee members and non-members such as Gina Orlando and Abigail Medeiros, who helped make the food drive a great success. But Medeiros suggested more help is still needed. “I am still saddened by the fact that it still isn’t enough,” he said, “None the less, we are happy that our efforts will make a small difference in the lives of a few. 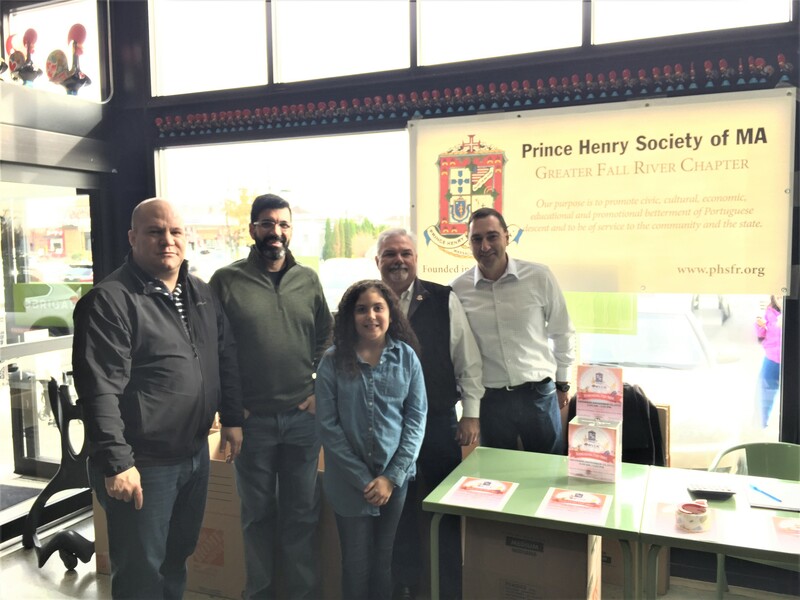 The Fall River Chapter of the Prince Henry Society, has been helping citizens of our local are since its founding in the early 80s. 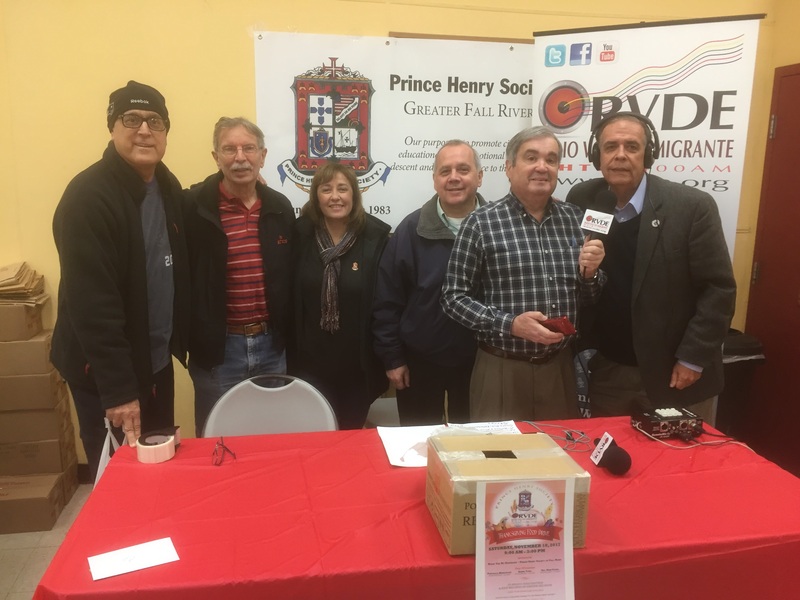 The mission of the Society is to promote the civic, cultural, economic, educational and social betterment of individuals of Portuguese descent.